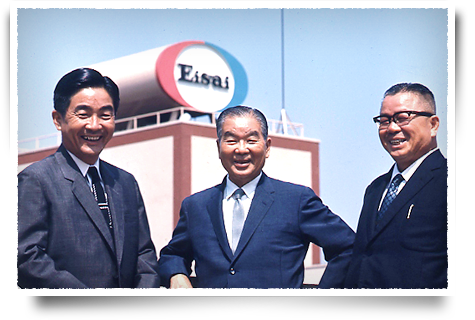 Eisai: The First 70 Years | Eisai Co., Ltd.
Eisai's founder, Toyoji Naito, is born on August 15 in Ito, a village in Fukui, central Japan. He is the sixth child and third son of Kikuji Naito and his wife, Fuji. Toyoji leaves his village at age 15, heading west to find employment in Osaka. Toyoji is employed at Winkel Shokai in nearby Kobe, a port city in Hyogo. Meanwhile, he takes night courses in foreign languages and bookkeeping. Toyoji leaves Winkel Shokai on being drafted into the Japanese Imperial Guard. 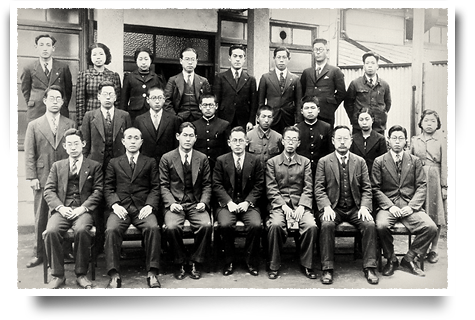 After completing military service, Toyoji begins working in imported drugs at Thompson Trading Co., Ltd. in Kobe. 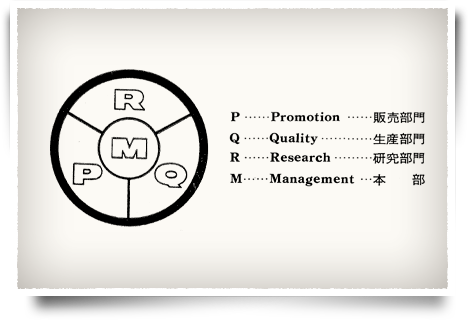 Toyoji moves to Tokyo and begins working at Tanabe Motosaburo Store Co., Ltd. (now part of the Mitsubishi Tanabe Pharma Corporation). Toyoji embarks on a seven-month business tour of India and Southeast Asia. Toyoji is involved in Tanabe Motosaburo Store Co., Ltd.'s development of aromatic castor oil Castalol and analgesic cream Salomethyl. The Great Kanto Earthquake strikes. Tanabe Motosaburo Store Co., Ltd. falls on hard times, including when its main store in Tokyo burns down in the aftermath of the quake. Tanabe Motosaburo Store Co., Ltd. acquires exclusive rights to market Japan's first anti-hypertensive drug, Animasa. 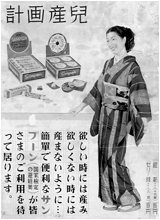 A Japanese word Toyoji coins for "high blood pressure" in his Animasa ad campaign enters the Japanese lexicon and remains a general medical term today. A Salomethyl newspaper ad created by Toyoji wins Best Advertisement Award in the first award ceremony of Japan's Society for the Promotion of Newspaper Advertising. Tanabe Motosaburo Store Co., Ltd. launches vitamin A product Haliva (halibut liver oil tablets). 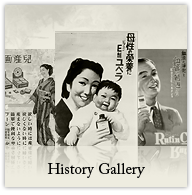 Sakuragaoka Laboratory Co., Ltd. is established as a limited partnership in Tokyo. Toyoji travels abroad to observe pharmaceutical industries in Europe and the United States. Sakuragaoka Laboratory Co., Ltd. launches vitamin E product Juvela through Tanabe Motosaburo Store Co., Ltd. Its chocolate-brown coating, “hard outside, soft inside” pellets and stylish packaging garners much attention at the time. Juvela becomes the laboratory's first success. Sakuragaoka Laboratory Co., Ltd. launches Sampon, Japan's first sanitary tampon, through Tanabe Motosaburo Store Co., Ltd.
Nihon Eisai Co., Ltd., Eisai Co., Ltd.'s immediate predecessor, is established in Saitama, eastern Japan. 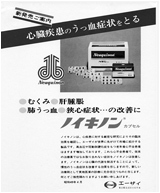 Sakuragaoka Laboratory Co., Ltd. and Nihon Eisai Co., Ltd. merge under the name Nihon Eisai Co., Ltd.
Nihon Eisai Co., Ltd.'s contraceptive suppository Sampoon, researched and developed during Japan's postwar baby boom, receives official approval from the Japanese government. Nihon Eisai Co., Ltd. launches cardiotonic Neophyllin in Japan. Nihon Eisai Co., Ltd. launches high-dosage vitamin B1 and B2 product Chocola BB Tablets in Japan. Nihon Eisai Co., Ltd. launches motion sickness remedy Travelmin in Japan. 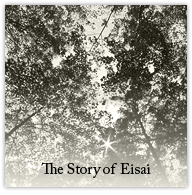 The company changes its name from Nihon Eisai Co., Ltd. to Eisai Co., Ltd., as it is known today. Eisai rolls out its first three-year mid-term plan. Eisai's Head Office building is completed in Tokyo. Eisai opens its Taipei Office (now part of Eisai Taiwan Inc.), the company's first overseas branch, in Taiwan. Eisai is publicly listed in the First Section of both the Tokyo and Osaka Stock Exchanges. Gastrointestinal remedies Saclon and Saclon Tablets, recognizable for their distinct green hue even today, are launched in Japan. 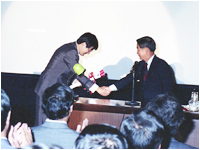 Toyoji Naito receives the Japan Marketing Award, which recognizes people who have made a significant contribution to marketing and advertising in Japan. The Tokyo Olympics take place. The Kawashima Plant is completed in Gifu, central Japan. Founder Toyoji Naito is appointed as chairman and Yuji Naito as company president. A three-tier representative director system is introduced: Chairman Toyoji Naito, President Yuji Naito, and Executive Vice President Tatsuo Naito. Youda Co., Ltd. is established as a pharmaceutical imports subsidiary in Taiwan. PT Eisai Indonesia is established as a pharmaceutical manufacturing and sales subsidiary in Indonesia. Toyoji Naito resigns as representative director and chairman to assume director and honorary chairman roles. 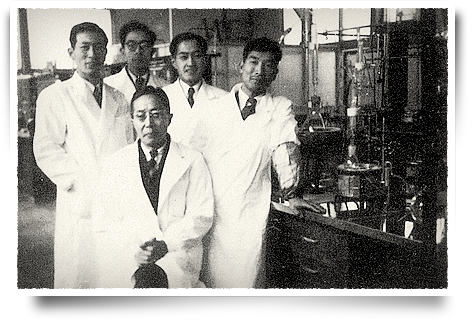 Toyoji opens the Naito Museum of Pharmaceutical Science and Industry, Japan's first pharmaceutical museum, in Gifu. The first oil crisis occurs due to conflict in the Middle East. Eisai (Malaysia) Sdn. Bhd. and Hi-Eisai Pharmaceutical Inc. are established as pharmaceutical sales subsidiaries in Malaysia and the Philippines, respectively. Metabolic cardiotonic Neuquinon is launched in Japan. Naturally derived vitamin E product Juvelux is launched in Japan. 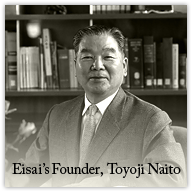 Eisai's founder Toyoji Naito passes away at age 89. Peripheral neuropathy treatment Methycobal is launched in Japan. Eisai Asia Regional Services Pte. 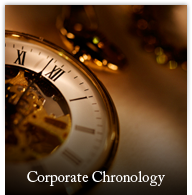 Ltd. is established as a sales support and management services subsidiary in Singapore. The second oil crisis erupts due to the Iranian Revolution. Eisai U.S.A. Inc. is established as a chemical and pharmaceutical machinery sales subsidiary in California, the United States. The Misato Plant commences pharmaceutical manufacturing in Saitama. The Tsukuba Research Laboratories open in Ibaraki, eastern Japan. 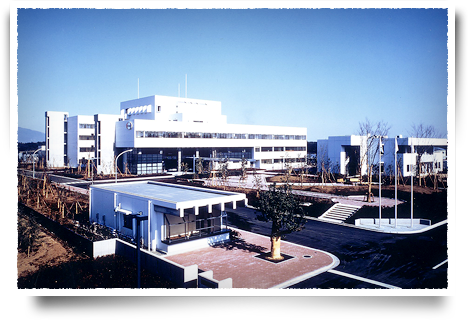 Eisai Chemical Co., Ltd. (now Eisai's Kashima Plant) is established in Ibaraki to manufacture active pharmaceutical ingredients (APIs). Gastritis and gastric ulcer treatment Selbex is launched in Japan. Eisai has supported of the Health and Medical Care Contributions Awards, which are presented to healthcare professionals who have contributed significantly to improving access to healthcare in difficult-to-reach areas from 1987 to 2015. Eisai rolls out its first five-year mid-term plan. 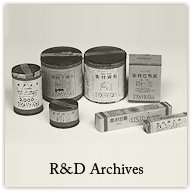 Eisai Research Institute of Boston, Inc. (now the Boston Research Institute) is established as a discovery research subsidiary in Massachusetts, the United States. President Yuji Naito steps down from office and assumes the role of chairman; Vice President Haruo Naito is appointed president of Eisai. Eisai America, Inc. is established as a clinical research subsidiary in New Jersey, the United States. Eisai Europe Ltd. is established as a clinical research subsidiary in London, the United Kingdom. Eisai Machinery GmbH is established as a pharmaceutical machinery sales subsidiary in Cologne, former West Germany. Eisai (Thailand) Marketing Co., Ltd. is established as a pharmaceutical sales subsidiary in Bangkok, Thailand. Eisai London Research Laboratories, Ltd. is established as a discovery research subsidiary attached to University College London in the United Kingdom. Eisai Hong Kong Co., Ltd. is established as a pharmaceutical sales subsidiary in Hong Kong. The Beijing Representative Office is established in Beijing, China. Shenyang Eisai Pharmaceutical Co., Ltd. is established as a Chinese–foreign contractual joint venture in pharmaceutical manufacturing and sales in Shenyang, China. 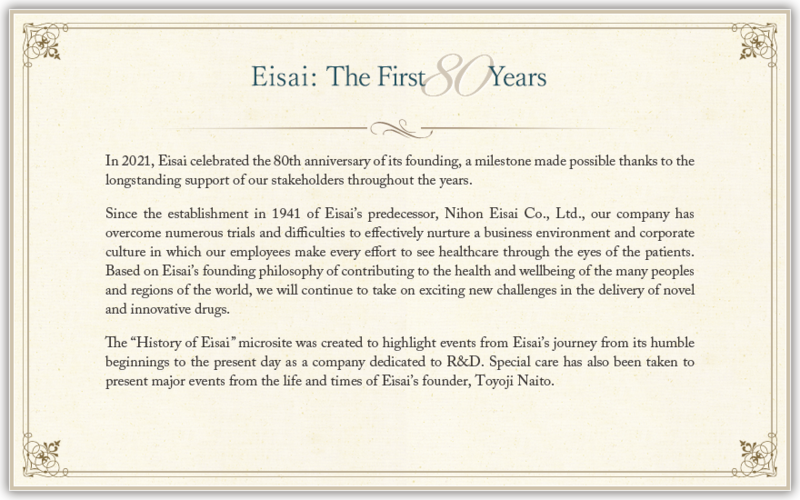 Eisai celebrates its 50th anniversary. Eisai adopts its current Corporate Mission and Corporate Objective. Eisai Corporation of North America is established as a holding company in New Jersey, the United States. Eisai London Research Laboratories, Ltd. is completed in the United Kingdom to form an Eisai Group multipolar R&D network spanning Japan, America and Europe. Eisai Inc. is established as a pharmaceutical sales subsidiary in New Jersey, the United States. Eisai Ltd. is established as a pharmaceutical sales subsidiary in London, the United Kingdom. Eisai Deutschland GmbH is established as a pharmaceutical sales subsidiary in Frankfurt, Germany. Eisai S.A. is established as a pharmaceutical sales subsidiary in Paris, France. Eisai Suzhou Pharmaceutical Co., Ltd. is established as a pharmaceutical manufacturing and sales subsidiary in Jiangsu, China. Elmed Eisai Co., Ltd. is established as a generic drug sales subsidiary in Tokyo. KAN Research Institute, Inc. is established as a life science exploratory research subsidiary in Osaka, Japan (now relocated to Hyogo). Eisai Korea Inc. is established as a pharmaceutical sales subsidiary in Seoul, South Korea. Eisai Inc. North Carolina Plant is established as a pharmaceutical manufacturing and formulation R&D facility at Research Triangle Park in North Carolina, the United States. 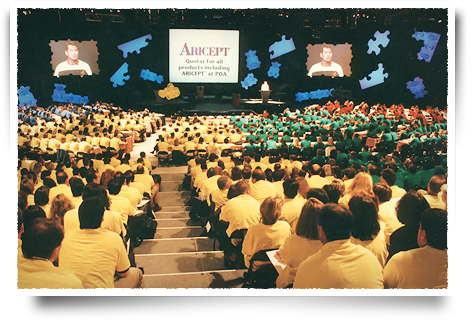 Anti-Alzheimer's agent Aricept is launched in the United States, the United Kingdom and Germany. Proton-pump inhibitor Pariet is launched in Japan. Aricept is launched in France. Pariet is launched in Germany and the United Kingdom. Pariet is launched under the brand name AcipHex in the United States. Aricept is launched in Japan. The 9/11 terrorist attacks occur in the United States. Eisai Farmacéutica S.A. is established as a pharmaceutical sales and marketing subsidiary in Madrid, Spain. Eisai Medical Research Inc. is established as a clinical research subsidiary in New Jersey, the United States. Eisai adopts the “Company with Committees” system. Eisai Europe Ltd. is established as a European regional headquarters (holding company) in London, the United Kingdom. Eisai Pharmaceuticals India Pvt. Ltd. is established as a pharmaceutical sales subsidiary in Mumbai, India. Eisai S.r.l is established as a pharmaceutical sales subsidiary in Milan, Italy. Eisai Pharma AG is established as a pharmaceutical sales subsidiary in Zurich, Switzerland. The Corporate Mission is added to the Eisai Articles of Incorporation. Eisai AB is established as a pharmaceutical sales subsidiary in Stockholm, Sweden. Honorary chairman and Eisai's second president Yuji Naito passes away at age 85. Eisai (Singapore) Pte. Ltd. and Eisai Clinical Research Singapore Pte. Ltd. are established as a pharmaceutical sales subsidiary and clinical research subsidiary, respectively, in Singapore. Eisai acquires four anticancer agents from Ligand Pharmaceuticals Inc. in the United States. EF-Eisai Farmacêutica, Unipessoal Lda. is established as a pharmaceutical sales subsidiary in Lisbon, Portugal. Eisai Manufacturing Ltd. is established as a pharmaceutical manufacturing subsidiary in Hertfordshire, the United Kingdom. Eisai acquires Morphotek Inc., a bioventure specialized in antibody research, in the United States. Eisai Pharmatechnology & Manufacturing Pvt. Ltd. is established as an API/formulation manufacturing and R&D subsidiary in Vizag, India. Eisai SA/NV is established as a pharmaceutical sales subsidiary in Brussels, Belgium. Eisai acquires MGI Pharma Inc., an oncology biopharmaceutical company in the United States. Eisai Machinery Shanghai Inc. is established as a subsidiary in Shanghai, China to provide marketing support and maintenance services for pharmaceutical machinery. Rheumatoid arthritis treatment Humira is launched in Japan. Eisai GesmbH is established as a pharmaceutical sales subsidiary in Vienna, Austria. The European Knowledge Centre opens as a European strategic base in Hertfordshire, the United Kingdom. The Eisai Product Creation Systems organizational structure is introduced Group-wide to reflect a new focus on patient-oriented R&D. Haruo Naito is appointed as president of the International Federation of Pharmaceutical Manufacturers & Associations. 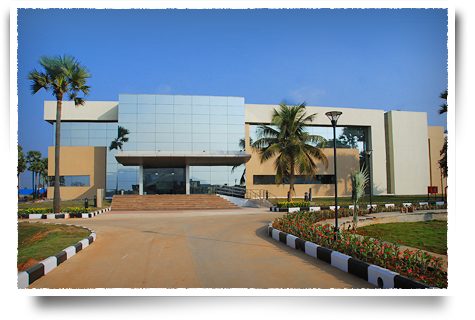 The Eisai Knowledge Centre, India opens as a manufacturing and process research base in Vizag, India. The Koishikawa Knowledge Center opens in Tokyo and receives the 24th Nikkei New Office Promotion Award. Eisai Limited is established as a pharmaceutical sales subsidiary in Ontario, Canada. Production headquarters transforms to a global “Eisai Demand Chain Systems” structure to reflect a new “demand-driven” customer satisfaction focus in drug manufacturing. Eisai (Suzhou) Trading Co., Ltd. is established as a pharmaceutical trading subsidiary in Jiangsu, China. Anticancer agent Halaven is launched in the United States. Eisai signs a statement with the World Health Organization (WHO) to supply a primary lymphatic filariasis medicine free of charge. H3 Biomedicine Inc. is established as a research subsidiary in the United States. The Great East Japan Earthquake strikes. Eisai Participações Ltda. is established as a pharmaceutical sales subsidiary in São Paulo, Brazil. Halaven is launched in Europe and Japan. Eisai Laboratorios S. de R.L. de C.V. is established as a pharmaceutical sales subsidiary in Mexico City, Mexico. Eisai signs the London Declaration, which is committed to the elimination of ten neglected tropical diseases by 2020. Haruo Naito is appointed as president of the Federation of Pharmaceutical Manufacturers' Associations of Japan (FPMAJ). Antiepileptic agent Fycompa is launched in Europe. Limited Liability Company Eisai is established as a pharmaceutical sales subsidiary in Moscow, Russia. Eisai co-establishes the Global Health Innovative Technology Fund (GHIT Fund), Japan's first public–private partnership to advance development of new health technologies for the developing world. Antiobesity agent BELVIQ is launched in the United States. Eisai initiates free of charge provision of diethylcarbamine tablets produced at its Vizag plant in India to WHO for use in the treatment of lymphatic filariasis. Fycompa is launched in the United States. Eisai China Holdings Ltd. is established as a holding company in Suzhou, China. Anticancer agent Lenvima is launched in the United States, Japan and Europe. EA Pharma Co., Ltd. is established as a gastrointestinal specialty pharmaceutical company. Fycompa is launched in Japan. Eisai joins global partnership to address non-communicable diseases. Eisai pledges continued support for lymphatic filariasis elimination. Collaboration agreement with Biogen to develop and commercialize investigational Alzheimer's disease treatments including aducanumab expanded. Eisai agrees upon a strategic collaboration for Lenvima with Merck & Co., Inc., Kenilworth, N.J., U.S.A.
New Suzhou plant in China commences full-scale operation. Lenvima (hepatocellular carcinoma) is launched in China.